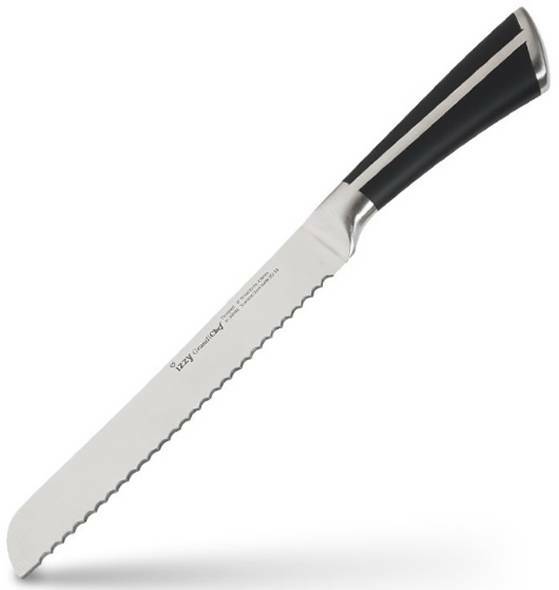 8" bread knife. High quality stainless steel blade 3Cr13. Ergonomic soft touch handle for ease of use. Stainless steel blade thickness: 2.5mm.